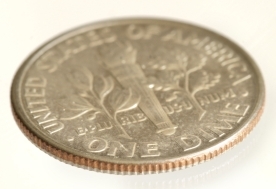 In this challenging economy many people are looking for ways to stretch a dime. By watching for items to go on sale and clipping coupons people are striving to get the most value per dollar spent. What if we could learn to stretch our time –getting the most value out of each moment spent? Since the world links value with achievement, according to the world’s standard, the more you can accomplish in the shortest amount of time the more successful you will be. To the contrary, God measures success according to eternal value. In God’s economy, it’s not how much we accomplish or the length of time it takes us to do so. God values kingdom focused efforts. When our efforts are focused on Christ’s kingdom, rather than furthering our own, He will show us when to move and when to wait, when to be diligent and when to be restful. As one who faithfully pursued God’s will, the apostle Paul talked about the kind of work each Christ follower should pursue in 1 Corinthians 3:10-13: By the grace God has given me, I laid a foundation as an expert builder, and someone else is building on it. But each one should be careful how he builds. For no one can lay any foundation other than the one already laid, which is Jesus Christ. If any man builds on this foundation using gold, silver, costly stones, wood, hay or straw, his work will be shown for what it is, because the Day will bring it to light. It will be revealed with fire, and the fire will test the quality of each man’s work. 1. There is only one solid foundation—the firm foundation found in Jesus Christ. Have you ever witnessed what happens to a house built on a faulty foundation? While the house may look beautiful in the beginning, eventually the foundation will give way, and over time the entire structure will collapse. A structure that is built to last begins and ends construction on a solid foundation. In much the same way, each moment of our lives builds on the previous moments. Are you spending the moments of your life aware of Christ’s presence and surrendered to His will? Or are you structuring your life on a less secure foundation? 2. Paul reminds us that we should be careful about how we choose to build our lives and our life’s work. What kind of materials are you using? Whose design are you using? What are you striving to accomplish? Paul tells us that there will come a day when God will evaluate the quality of our work. Work that was motivated by Christ’s love, founded on His Word, and achieved by His power holds great eternal value. Work that stems from selfish ambition or a need for human recognition is merely temporal. In light of God’s economy, what choices will you make to get the most value out of each moment?